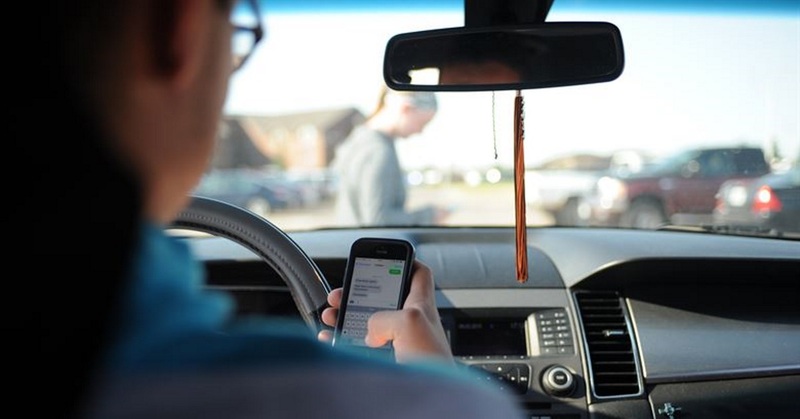 Have you ever answered a quick text while driving? Or typed in an address for directions while cruising out of a parking lot? According to 44 different states, you just broke the law. And if you are a minor? Thirty-eight states forbid you to even touch your phone while behind the wheel. These stats have not gone unnoticed. Officials are cracking down on this behavior. In the state of Washington, it is illegal to even hold your phone while driving. A police officer can pull you over merely for seeing you hold your device. The fines can be steep, anywhere from $136-$234 per incident and it will be reported to your insurance company. That means a possible rate increase. In other states, the fines can range from $50-$250. Though we have adapted to hands-free calling and even voice texting, consider that there are other ways we use our hand-held devices – specifically the use of navigation apps. If your hand-held device is in a cradle, the law only permits the “minimal use of a finger” to activate the app. If it takes multiple touches to change a setting (personal to business in your mileage app) to restart it, you are still breaking the law. More important, it’s dangerous. Tracking your miles for work? Consider using a completely hands-off GPS device, like The Mileage Ace. Not only will your logs be more accurate, you’ll be safer behind the wheel.